VANGOUGH is a three-piece, American progressive metal band. Their eclectic brand of songwriting straddles the line between the familiar and the volatile - a temperamental cocktail that invites both heavy metal fans and those seeking refuge from the beaten path. 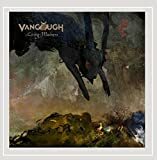 With an ever-growing catalog of acclaimed releases under their belt, VANGOUGH continue to captivate their fanbase with the unexpected and, as Prog Rock Music Talk points out, "are the future of progressive metal." Following on the heels of a raucous performance at the annual ProgPower USA music festival in 2014, Vangough set out on their first North American tour with one of their modern influences, PAIN OF SALVATION. The following year saw VANGOUGH hit the road once again, this time in support of progressive metal pioneers FATES WARNING. 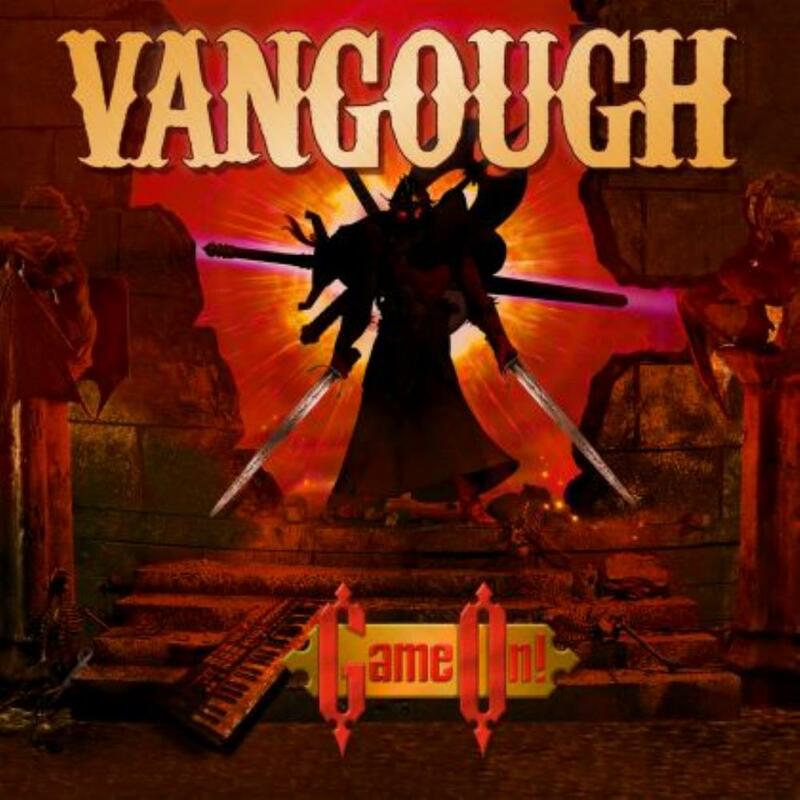 Even with their limited touring experience, Vangough have been recognized by fans for delivering one of the most aggressive and powerful live performances in the genre. VANGOUGH's latest musical world, 'WARPAINT', ferments their audacious songwriting style across seven formidable yet emotionally vulnerable songs. Spending over a year in production, this album represents the delicate inculcation of restraint, self-doubt and introspection that was afforded as a result of their recent touring efforts. Exposing the nakedness that we struggle to conceal, Warpaint is the story of embattled spirits. As a live band first and foremost, VANGOUGH is currently focused on hitting the road for their next American tour, in support of 'WARPAINT', which was released March 17, 2017. This is quite an impressing new statement from the Oklahoma based VANGOUGH. Sometimes close to Fates Warning in style, though missing any keyboard input on the other hand. Clay Withrow has an unique singing voice available for sure and adds some doomy guitar riffs here as well. This will be recognized soon when starting with the song Morphine. Also subtle growls, which won't spoil the feel though, when it comes to my taste. 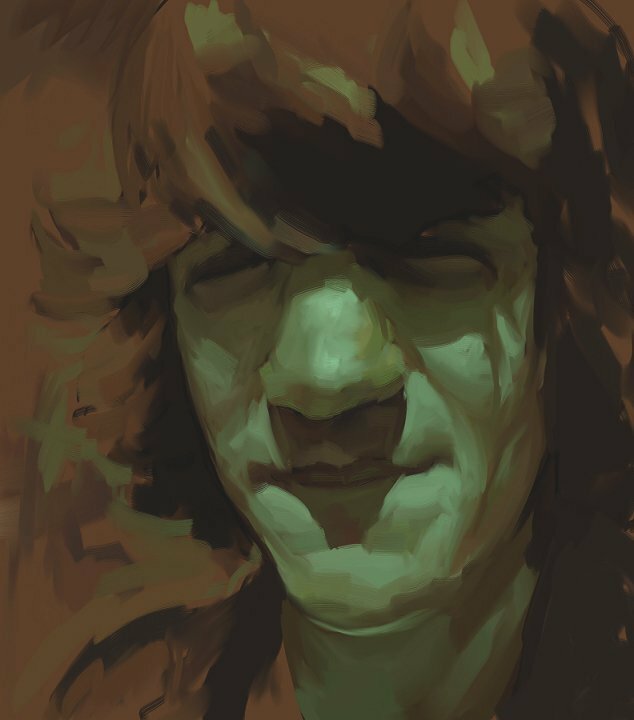 While constantly alternating between heavy and atmospheric impressions, this additionally reminds me at the likes of Tool, Pain Of Salvation, Opeth at some point. So the following Dust confirms at best where the influences are coming from. 'We are the children of machines' ... eh, I do not hope so, a metaphor for sure ... catchy, a nearly charming exemplar is on the run. The Suffering appears as a rather eclectic implementation then. Instruments and vocals are damn variating, for example we are faced with contrasting innocent acoustic and crashing electric guitars. Excellent one! The extended Black Rabbit always makes my day too, just a wonderful exploration into exclusive song writing heights. Being about one year in the making 'Warpaint' represents a song collection of much thoughtfulness. Really enjoyable. Sorta melodic prog metal stuff I often came back to in recent times. Double tracked guitars are remarkable overall, as if they were a quartet actually. That means, regarding the stage appearance at least, they definitely will need a second guitarist to accomplish their objectives during their next tour, which is still in preparation. Attention, the rabbit is alive and on the run again! I can't remember how we first got in touch, but singer/guitarist Clay Withrow and I have been in contact since the time of their stunning debut 'Manikin Parade' some eight years ago, and I have been fortunate enough to hear all their albums, of which this new release is their fifth. The first thing I noticed is that the rabbit is back, having been on the front of their third album 'Kingdom of Ruin', and the EP 'Acoustic Scars' (where he was joined with the raven from the debut). But here he seems to be way more menacing, ready for the battle that is coming as suggested by the album title. 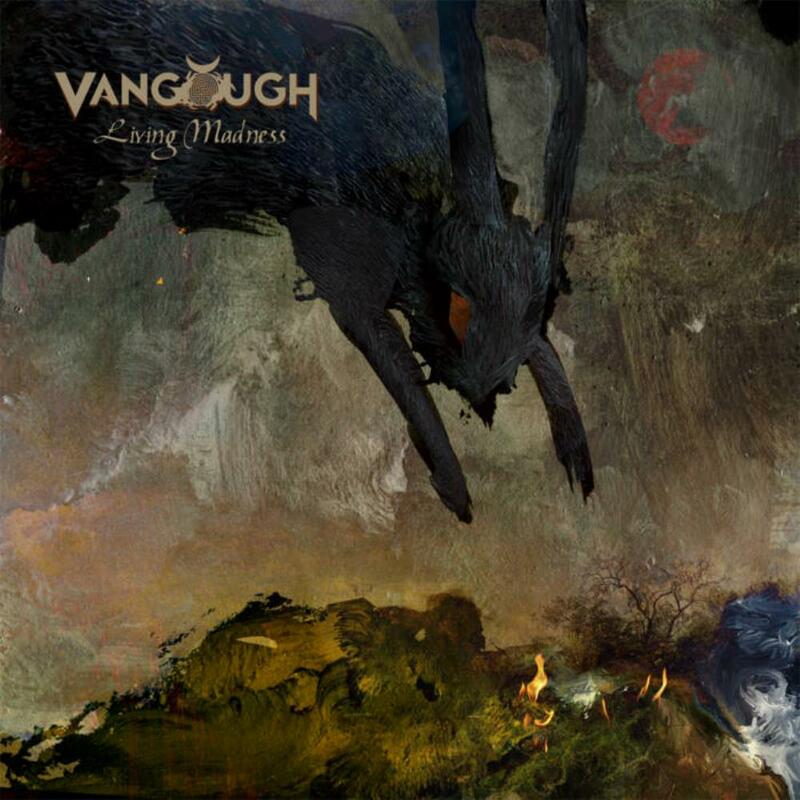 Vangough are quite a rarity in the prog field, in that firstly they are a prog metal band without a keyboard player, but also, they are a trio. Now, that's not too uncommon in some ways, as often a trio will double up on instruments in the studio, but while Clay may have put a few guitars on the same track, all we are getting are drums (Kyle Haws), bass (Jeren Martins), guitar and vocals. Before I get into the music I must also comment on the production, which is superb. There is real separation in the music, and songs such as "The Suffering" just blow away the listener with the move from gentle acoustic notes that have been plucked and gently fade to hard riffing. It is also great to be able to clearly hear the bass and drums, and the impact they are having on the song structures. This isn't a wall of mud turned up loud, this is finesse played with skill and care. They have been cutting their teeth in the live environment, and it comes through on this album as it is easy to imagine all those songs moving well onto a stage. After a raucous performance at the annual ProgPower USA music festival in 2014, they set out on their first North American tour with Pain of Salvation and the following year with Fates Warning. The learnings they have taken from these tours have been invaluable, and (nearly) forgives them the four years it took from 'Between the Madness' to this one. Here we have a prog metal band with technical influences that aren't afraid to shift tack quite abruptly within a song, and to be punishingly heavy when it is required or more quiet and reflective as the mood takes them. I have been playing this album a lot since I first had the opportunity to hear it, and although I've never been a fan of a rock band fading out a song (as on the aforementioned "The Suffering"), it does lead into the very different "Gravity" which goes from gentle into a Muse-inspired belter so I think I'll forgive them. I gave their debut five stars as I was so incredibly impressed, and now is the time to do the same again. Awesome. Why not pop over to vangough.bandcamp.com/album/warpaint and give it a listen, I know you'll agree. US band VANGOUGH is a trio established by composer and musician Clay Withrow a few years ago, following an initial solo album he released back in 2007. Vangough released their debut album "Manikin Parade" in 2009, and "Between the Madness" from 2013 is their fourth studio production, and also their most recent at the time of writing. Progressive metal is the name of the game as far as general style is concerned here, and a rather well conceived one at that. This is a band that has a go at that style in a rather sophisticated manner, rarely if never relying on merely the time tested arrangements and theme constructions in an effort to create safe material with a predictable reach. They don't really stretch any stylistic borders either, there's nothing here that really breaks any new ground, but if you'd like to explore a production that shies away from the most commonly explored sounds and effects of classic progressive metal then this is a band you should take note of. Just about all the compositions revolves around the use of contrasting sections, sporting frail, tranquil and often light toned sections paired off against one or more sequences of dark, guitar riff dominated excursions. Traditional organ and guitar riff constellations do appear from time to time, but also beefier sections with more of a grunge or doom metal sound to them, relying more on groove, as well as compact quirky riff excursions and the occasional use of bombastic riff cascades and compact, chugging riff constructions. The compositions are solid affairs, made to create and maintain tension through the use of contrasting themes, gentle interludes adding a tinge of sophistication and unpredictability, allowing plenty of room for violin and cello, especially in the calmer sequences, and even adding a full fledged symphonic creation, Depths of Blighttown, to the mix. With success I might add, this sole stylistic exception is a solid, dark and well made affair that does have some distinct soundtrack qualities to it, and then in the most positive manner of that description. There's also an additional instrumental of note, Thy Flesh Consumed, that I really thought would be my favorite track with it's alteration between menacing, tranquil sections of cinematic laden sounds and the dark, twisted guitar riff attacks that alternate with them. That impression lasted until the final track of the album came. Corporatocracy concludes this disc in a brilliant manner. There are folk music inspired details here and a sound that may be just a tad too close to comfort for fans of Pain of Salvation, but the composition itself is a glorious affair anyhow. Not a compositions that will find favor among Republicans in the US I guess, at least that is the impression I get from the lyrics, but a monster of a song anyhow. What elevates this album into the realm of a high quality production with a lasting appeal rather than merely being a pleasant one are the lead vocals. A few exceptions aside I don't find Vangough to be a band that have managed to conjure those magnificent pieces of musical magic that sends shivers up your spine on a constant basis, but the vocals of Clay Withrow certainly elevates the total experience quite a bit. He's got a good range, manage to use his voice in fairly wide variety of ways, and always in total control too. Those fond of high quality vocals should find this album to be a real treat due to this aspect. All in all I have a favorable impression of this production. The compositions are of a general high quality throughout, and if not quite meriting a description as innovative then at least they explore parts of the progressive metal realm not thoroughly explored by every other band out there. With a versatile, high quality lead vocalist as a bonus feature. A production easy to recommend, to those that favor classic era progressive metal in general and in particular to those with a certain affection for music of this kind that hovers in on moods and atmospheres that tend to be placed on the dark side of the border. Vangough are a prog metal band that play energetic music with twisted rhythms and an alternance of soft and harsh vocals. On 'Between the madness', they broaden their canvas by spare use of Rhodes, Hammond, acoustic guitar and violin, laidback percussions, and strings. Their influences in the heavy metal realm are varied and as you can read in this track-by-track review, but this album was also the opportunity for Vangough's mastermind, Clay Withrow, to highlight his eclectism, and break away from the myriad of prog metal bands that sound more or less like Dream Theater. In "Afterfall", drum assaults and nervous vocals blend unexpectedly with upbeat layers of Hammond organ. A pause in the frenzy is brought by a passage with percussions, mesmerizing acoustic guitar, soft floating voice and slow violin, all in an oriental vibe. A sad spanish guitar with melancholic violin opens "Alone". Fast-paced drums and aggressive guitars mark the transition to a sunny upbeat passage with Queen-like choir. Sadness returns with veiled pleading voice. Then anger is accentuated by passionate vocals and insisting drums. A meditative guitar accompanied by rhodes and strings soothen the atmosphere before the anger takes over and the sunny passage returns. With "Separation", the band turns to funk-metal with passionate chorus. Strong Pain of Salvation and Faith No More influence transpires, in the vocals (passionate shouts in the chorus, angry chant, "rapped" voice, and high-pitch) but also in the use of funky rhythms in an overall heavy metal context. Some incantatory backing vocals add some mystery to the song. For the sake of diversity, a Hammond organ can be heard at times, and an orchestral passage sounds akin to the romantic era of classical music. "Infestation" is a slow elegiac song with oboe and strings in the overture and a Metallica-inflected chorus (strong James Hetfield accents in the voice). A tango-like instrumental passage comes with frenetic drums and virtuosic guitars. In "Schizophrenia", catchy passages with straightforward drums, and cheerful guitars alternate with more dubious passages with pensive acoustic guitar, drums searching their way, Hammond and violin. One interlude with rhodes, and another one with orchestra help catching breath. 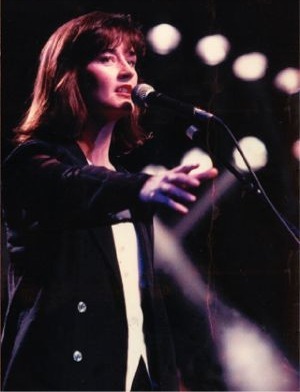 The title track, "Between the Madness" is all instrumental, in a sunny, classical mood, with expressive violin and solar acoustic guitar in an overall pastoral mood. A cello adds a touch of melancholy. In "Vaudeville Nation", prudent move of the band alternate with energy release. Hammond accompanies the opening and the closing sections, while theatrical voices deliver the chorus with harsh accents. "O Sister" is a balad where mellow passages with delicate velvet voice alternate with harsher passages with pleading angry voice. The instrumental bridge presents with tribal drums and guitars crying as if they were lost and calling for help. "Thy Flesh Consumed" is another instrumental track but in a darker, metal mood this time. Dark- ambient passages with mourning keyboards / agonizing guitars alternate with slow gothic-metal sonic assaults, like in early Tiamat works. In "Useless", processed vocals reminiscent of Marilyn Mason with programmed beat provide an electro/industrial feel to the overture. Funky guitar with Mike Patton's almost-rapped vocals follow. Drum madness with harsh vocals then contrast with soft voice and strings. A tear-jerking guitar pops up suddenly and morphs into meditative bluesy guitar before passionate lead vocals join and some engaged backing vocals enliven the atmosphere, soon followed by pounding drums and shouting vocals. A sinister doomy passage with mesmerizing guitar concludes the track after the soft violin/mellow voice section. "Depths of Blighttown" is a short orchestral cinematic piece with plucked strings, like scoring a scene of a Tex Avery cartoon movie where the wolf is marching on tip-toe. The ending is an a threatening mood, with obsessive repetitive strings as if scoring a scene with imminent catastrophe. "Corporatocracy" has an upbeat folky overture with sunny guitar and percussions. Syncopated drums that follow are accompanied by obsessive guitars. Vocals wander in different territories, harsh at times, high-pitched, passionate, incantatory, or even scared at others. The sung passages alternate with softer ones, retaining a traditional/folk feel with percussions or violin. The closing track, "The Abyss", is another instrumental track, dark with rock intrumentation. It starts with alerting guitars and slow gloomy drums, rolling like in the recent incarnation of Celtic Frost or Paradise Lost's very first album. When the alarm stops, the whole sounds like a jam session where drums move prudently forward. Splashy keyboards come to enliven the sad atmosphere. Then, all of a sudden, a dark ambient mood settles. The gloomy passage with slow drums returns after a King Crimson-like transition, and the track ends with threatening electronic samples like dark clouds covering the sky little by little. 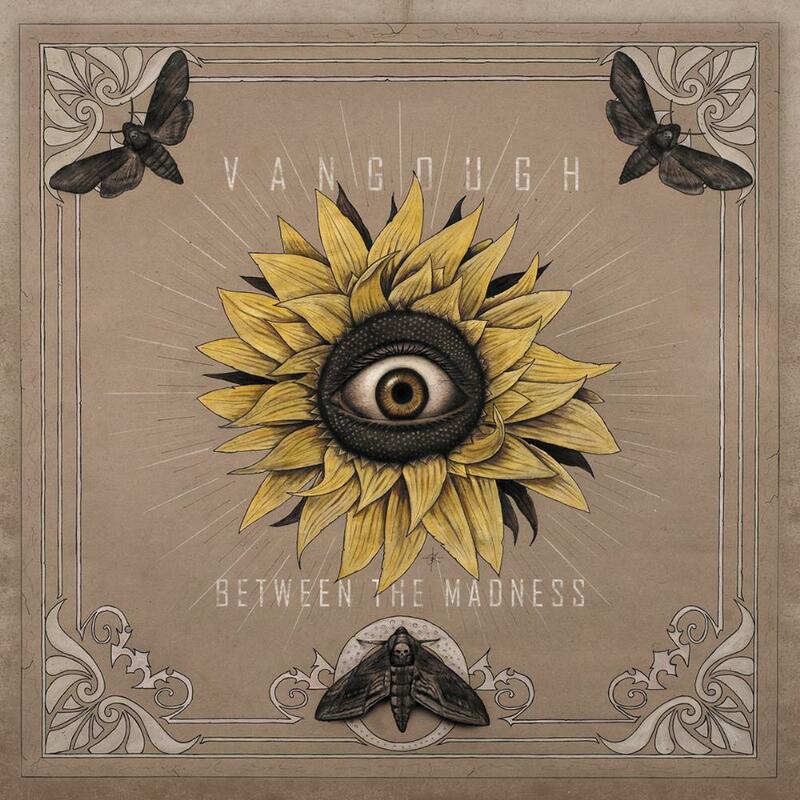 Although prog metal in essence, Vangough prove with 'Between the madness' that they are able to break the codes by cleverly alterning harsh and normal chant, and by incorporating elements of folk/traditional music, classical music, movie soundtracks, and ambient music. Without the shadow of a doubt, Vangough play technical and challenging music, but at the same time they never lose sight of keeping it melodic. The album is very long and is not easy to listen to in a row, but it stands as an impressive body of work, crafted with love and passion. I have followed Vangough since the release of their debut, Manikin Parade in 2009. Even if I may have interpreted them as something of a Pain of Salvation clone from the start, they were one of the best acolytes Pain of Salvation could have hoped for. 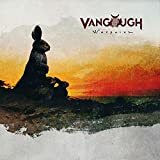 Where Vangough hadn't erupted with a fresh new sound, they made up for it in part with solid songwriting and incredible musicianship on par with any of their prog metal contemporaries. 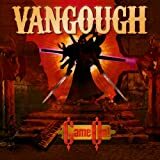 Between then and the release of Between the Madness, Vangough came out with a decent second album, and a compilation of video game covers that basked in nostalgia like the world was ending. Comparing this latest record to Vangough's past oeuvre, it feels very much a child of 2011's Kingdom of Ruin, where they placed an emphasis on strictly melodic songwriting. Thought I still miss the proggier sound of Manikin Parade and indeed prefer it over the more song- oriented path the band have taken, Between the Madness is a fine addition to the band's catalogue, revisiting much of the same territory they explored on Kingdom of Ruin and improving upon it. 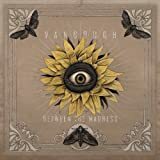 It's not at all common for a progressive metal band to be a threepiece, but Vangough deliver a full-fleshed sound as a trio, to the point where more members might have made it a crowd. Even in a genre like progressive metal, where musical virtuosity and skill with technique are nearly ubiquitous and to be expected, the band still manages to impress me. 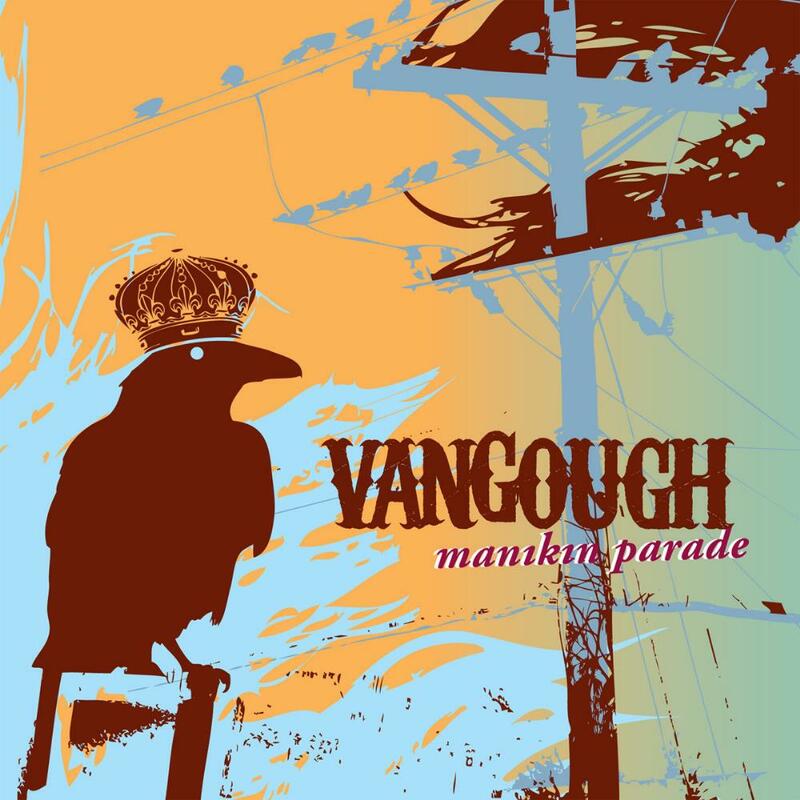 From Manikin Parade onward, Vangough have had no trouble expressing their apparent skill in their music without resorting to the sort of superfluous noodling that has made the genre slightly infamous to begin with. For all of their skill, Vangough stick to the fundaments of their songwriting. This sense of tasteful restraint has metastasized further on Between the Madness. 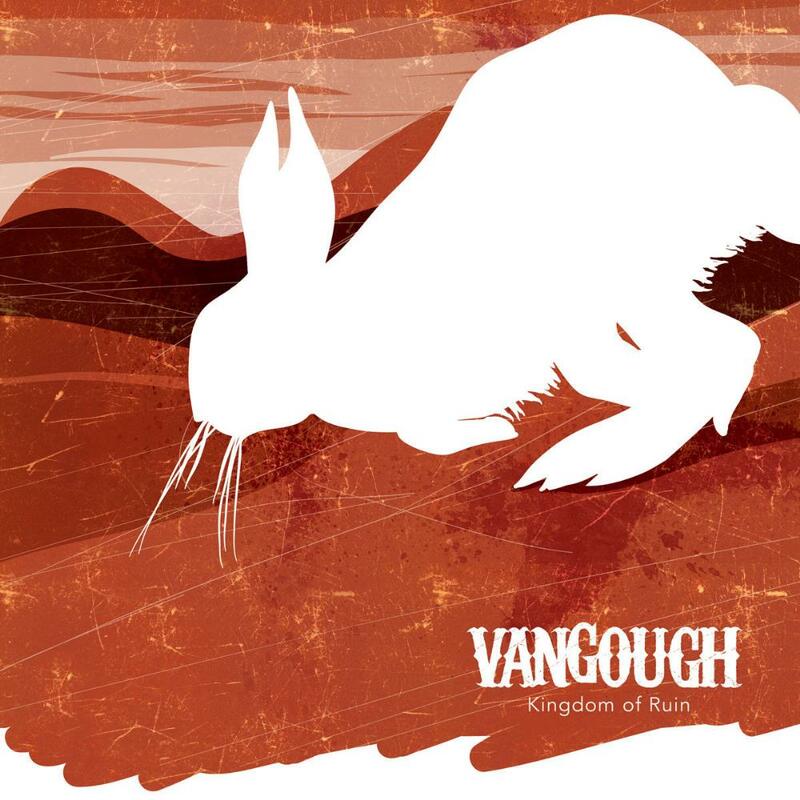 Compared to Kingdom of Ruin, an album that sadly didn't hold my interest for long, Vangough have refined their tact with songwriting and melody making. "Afterfall" is one of the most skilfully arranged pieces Vangough have ever penned, a surprisingly dark and personal song about loss and a miscarried pregnancy. "Between the Madness" is a gorgeous interlude that also stands out, particularly for a cinematic violin guest performance from Justus Johnston. The album's arguable highlight comes in the form of a rare instrumental however; "Thy Flesh Consumed" is a moody miniature epic reminiscent of Metallica's "Orion", a composition that dares to dwell on motifs and instrumental ideas that other songs on the album may have only had time to touch upon. Between the Madness enjoys a few tracks where Vangough flirt with brilliance, both on a level of performance and songwriting. The decision to pursue a more melodic and concise form of progressive metal has resulted in a pretty consistent collection of songs, but for the most part, the writing does not feel particularly exciting. Vangough have trimmed the fat from their sound, but in doing so, they have lost some of the distinct, independently interesting moments that made their debut so interesting. At worst, the songwriting is predictable, and doesn't offer much in the way of shock or surprise once you've grown accustomed to the structured formula. I don't think the matured approach to composition is a total loss (and "Afterfall" proves that they can make it work to passionate effect) but Between the Madness never really seems to sweep my imagination away the way I would hope to hear from such a talented cast of musicians. If anything really disappoints me, it's the knowledge and faith that Vangough could be impressing me much more. The few moments where the band really decides to let loose are proof of this; one of the album's brightest moments, "The Abyss", was strangely left as a bonus selection, but develops upon the instrumental potential I first heard on "Thy Flesh Consumed". When Vangough harken back to proggier days, the effect is promising. Although Vangough's debt to Pain of Salvation is less overt here than before, the influence is still vividly apparent. While Manikin Parade may have taken more after The Perfect Element and Remedy Lane" era Pain of Salvation, Between the Madness often echoes Scarsick, an album that has long split listeners for its roots in nu-metal aesthetics. 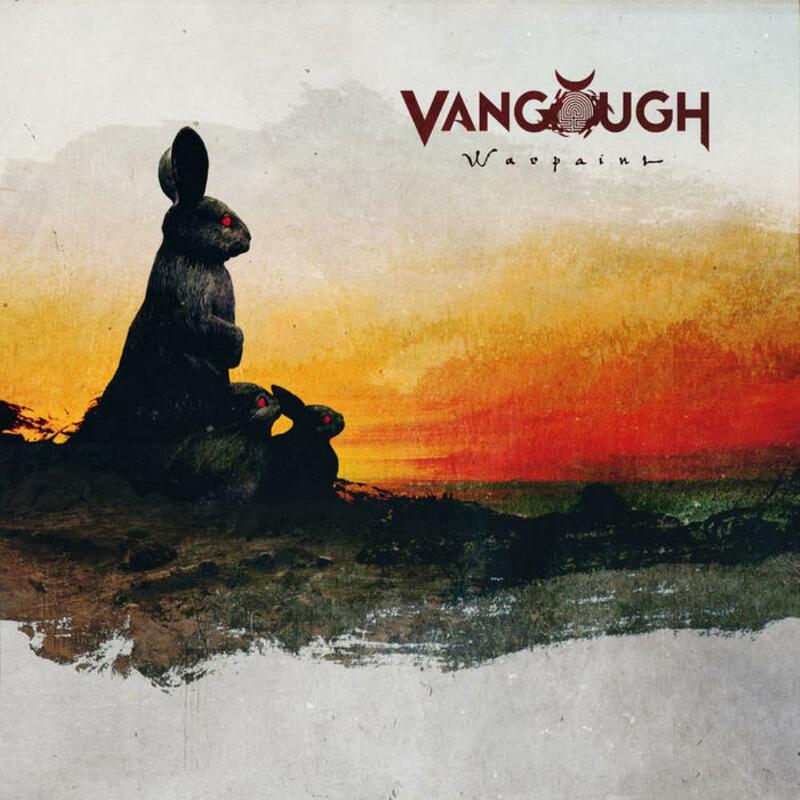 Vangough thankfully keep the rapping to a relative minimum, but the music's dark, rhythmic direction and its scathing criticism of modern society feel largely drawn from Pain of Salvation. This is especially evident in the case of "Useless" and "Corporatocracy", the former of which features Clay Withrow rapping in a manner incredibly close to Gildenlow's performance on the songs Scarsick and "Spitfall". In the case of "Corporatocracy", the instrumentation draws in an Oriental tinge and twangy guitars that sound a bit too close to Scarsick to be mere coincidence, not to mention the song title itself bears a stunning resemblance to "Idiocracy", a song from, yes, Scarsick. Withrow and company have never tried to hide the major influence Pain of Salvation have had on their sound, and while I still feel that this dedication to another band's legacy isn't doing Vangough any favours, the tribute and influence is sincere and well-intended. Between the Madness has not seen Vangough emerge from their shell of influences, but their execution and standard of performance remains excellent. In spite of some of my negative criticisms of the band and their work thus far, Clay Withrow is an exceptional vocalist, with a delivery that marries power and emotional sensitivity in perfectly blended matrimony. Even in such a competitive genre like prog metal, Clay still manages to wow me with his vocals. While Daniel Gildenlow seems to be his likely model with regards to singing (and to a lesser extent, James Hetfield), there are times here where I feel like his talents are able to come out and take a life of their own. 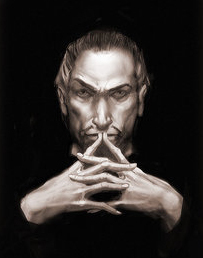 This sentiment can be applied to the rest of Vangough; the full extent of their potential remains hidden under the shadow of their influences. If Vangough could just break through this shell and find a stronger sense of personal identity to call their own, I have high hopes they could amaze me and knock out the competition. Between the Madness is a solid album by all accounts, but does not amaze me in the way I know they're capable of. Although it isn't that unusual for me to review an album more than once, normally years pass between the two. Yet here I am totally rewriting a review that I only completed yesterday. When I listened to the CD I was distracted by the mix, which I believed not to be correct, and said so in the review. But, what I wasn't aware of was that the band also felt that the mix wasn't as good as it could have been, so pulled the complete run of CDs, remixed it, and then put new CDs in the digipaks. It was just those that had been sent out as promo's that weren't replaced. Clay then provided me with the new mix as a download and I have been playing it all day (when not in meetings ? why does the work I get paid for get in the way of the work I actually want to do?). What I am now listening to is far more balanced, which has allowed me to get past my initial views and instead listen to the album as I should have in the first place. Now, I have been a fan of Clay Withrow's music since I first heard 'Manikin Parade', and I have been lucky enough to hear everything they have released since, so when I became aware that a fourth full-length album was coming out I was suitably excited. Jeren Martin was again working with Clay on bass, while they had a new drummer in Kyle Haws plus a few guests on additional guitar and strings (the additional guitarist, Jay Gleason, plays with Jeren in a death metal band! ), Clay of course provides everything else. Here is an album that has seen the band grow, both in musical style and in stature. The harmony vocals are bang on, and the restrained use of falsetto here and there provides an additional edge, much as Roger Taylor used to do with Queen. There is music that rocks and belts along, or music that is way more gentle and refined, with a control that is breathtaking. Clay provides some breathtaking solos and runs, or crunching riffs, or acoustic, whatever is right for the song itself while Jeren seems to instinctively know what is required to lift the piece itself, either providing the bedrock, or additional back up melodies, or even not playing at all and allowing the space created to be used by others. Although it will be viewed by many as progressive metal, there are passages and even complete songs that are far more crossover in aspect than one would expect from the genre, and the result is something that has incredible depth and breadth. This is music that refuses to be pigeonholed, with the band at times firing as a metallic monster (with Clay doing some wonderful James Hetfield style vocals) while at others it is way more restrained and thoughtful. There is a wonderfully delicate string section in "Separation" which really accents the guitar on either side, while the title track demonstrates a very different side of the band with Clay on acoustic guitar, supported by some wonderful violin and cello. From that we go into "Vaudeville Nation" which is as hard hitting a prog metal monster as one would wish, with some great interplay. Even before putting this on the player one knows that it is going to be looking back at previous works as it combines the crow from 'Manikin Parade' with the rabbit from 'Kingdom Of Ruin' but what is somewhat unusual for a prog band is that this is fully acoustic, and also that all of the proceeds are going to charity (Heartland Rabbit Rescue in Oklahoma where band leader Clay adopted two rabbits from himself). This has been put out there as a Vangough release, but only singer/guitarist Clay and bassist Jeren Martin are there from the last album, with Corey Mast (keys) and Brandon Lopez (drums) absent but that may well be due to the structure of this album as while there is a percussionist (Kyle Haws) the other musicians are Justus Johnston (violin) and Jose Palacios (cello). The gentle introduction of 'Leaving Bricolage' with the strings combining with the sounds of crows and a storm leads us into 'A Song For Crows' and a nod back to the debut. This is a wonderful acoustic combination where Clay sings both emotionally and powerfully yet with control and restraint. It is easily one of the best songs they have ever done, just proving that numbers don't have to be bombastic to be effective. I have read that 'Throne of Rusty' contains an acoustic version of a game song, but as with all of the songs on their second album I was too busy playing music to play video games so don't know any of the originals. What I do know is that here they have allowed the violin to take the lead in a wonderfully evocative number that to me always feels like the perfect music to put alongside galloping horses. Then we move into 'The Rabbit Chronicles' which is of course linked to the last album, where yet again Clay allows the strings to take centre stage. I particularly like the way that this one switches emphasis and moves around. The final 'The Road To Blighttown' brings back the crows and the storm as everything winds down. I originally wrote this review in 2009 and have just realised that I hadn't posted it here. Well, like many other progheads, one of the many prog sites that I visit fairly regularly is Sea of Tranquility. While I may not always agree with everything that they write it gives me an additional insight into the scene, and I know that they are not prone to hysterical outbursts. But when they start an interview with the comment "Vangough is probably the best Progressive Metal band you'll discover in 2009" one has to wonder on what basis do they make that comment? Well, I am currently listening again to the evidence and in all fairness I have to agree with them. This is prog metal of the highest quality; it certainly doesn't sound like a debut as this is melody, musicianship and class all rolled into one ? the end result of which the only thing that the listener can do when it finishes is to hit the play button yet again. Only one song can remotely be said to be lengthy, and that is not even ten minutes so in terms of the genre what we have here is short and punchy. The vocals are strong and the production clean with the music twisting and melding its' way through gentle piano balladry and harmonies while they can suddenly go into full on metal with the guitar riffing and the band in full flight. I have had this CD for a while and each time I play it I find something new here to enjoy. It is of no surprise to me that it is rated so extremely highly by sites such as Amazon, yet this isn't the latest release from ProgRock Records or InsideOut, but rather is an independent release. Singer and guitarist Clay Withrow has a strong vision that drives the band far beyond one would normally expect from a debut. They claim that they "spit fiery madness by drenching your ears with a purple sunrise of melodic cocaine and a not-so-subtle approach to reading you the story behind today's headlines." How do you make a retrospective album without turning it into a best-of release? Just follow this blueprint set by Vangough; release an acoustic EP featuring creative new takes on the albums in your discography! 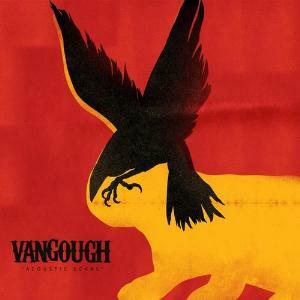 Ever since the release of their 2009 debut album, Vangough have been releasing a new album every year. After the release of their third album, Kingdom Of Ruin (2011), the band seemed to take 2012 off but right at the end of year came a five track EP. The intro and outro tracks are just that, what this EP is actually about are the three songs in between. A Song For Crows is clearly a tribute to the band's debut album and it's easily the most beautiful track that they've released to date! The acoustic sound of the instruments and Clay Withrow's passionate vocals clearly recall the sound of the Pain Of Salvation classic album 12:5, which unfortunately makes this composition slightly fade in comparison. Still, it's rare treat even by Pain Of Salvation standards, so enjoy this passionate moment while it lasts! Throne Of Rust is clearly suppose to be a tribute to the band's second album Game On!, featuring an interesting acoustic take on the classic Mega Man tune from Dr. Wily Stage. The Rabbit Chronicles chronicles the band's Kingdom Of Ruin-era with some fun acoustic instrumental intro leading to a somewhat unbalanced mishmash throughout the remaining 5 minutes. The Rabbit Chronicles is unfortunately not as enjoyable for me as the reminder of the album, luckily it doesn't ruin the overall quality of the record as such. If you're new to Vangough then by all means, give this record a shot! It might not be as passionate as Manikin Parade, playful as Game On! or ambitious as Kingdom Of Ruin, instead it tries to fuse these three qualities into one 25 minute bite size experience! 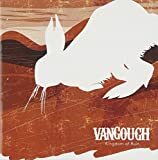 The more I hear of Vangough, the more I am incredibly impressed. These guys just refuse to be pigeonholed into any one genre and if anyone deserves to be called 'progressive' in the truest sense it is this quartet from Oklahoma. Some would liken them to Dream Theater, and while that is true in certain passages, there are times when they can be as gentle as they can bombastic, as simple as they can be complex, always melodic and bringing together a wealth of influences from bands as diverse as Muse, Porcupine Tree and even Coldplay (and the record label even references Pantera ' I don't think they are quite that heavy, but I can understand where they are coming from). This is Clay Withrow's band in that he writes all of the music and lyrics, provides vocals, guitar and keyboards but the rest are far from being bit players. Brandon Lopez has an incredibly deft touch at the back, and provides straightforward rock drumming when required to drive the music along but is more than happy to provide fills and nuances that Nick D'Virgilio or Mike Portnoy would recognize. Fully locked in is bassist Jeren Martin while Corey Mast has a wealth of styles and sounds at his fingertips.